What do I need to repair? Is your furniture starting to peel? Have pets left your leather furniture covered in scratches or urine stains? Perhaps your leather has faded from years of use? It is important to note down the damage on your leather furniture before you can begin to restore it. This will not only help you, it can provide important information to the leather experts who can assist you in the restoration process of your furniture. What colour is my leather furniture? You might know that your leather furniture is a dark blue or light brown, but there are plenty of blues and browns that leather can be. Knowing exactly what colour your leather furniture is can save you and your bank account a lot in the long run. Taking photos of your furniture in a well-lit room or finding a leather sample will assist you when it comes time to getting a leather patch or buying leather dye for your furniture. You don’t have to spend a fortune on leather repair. However, if you want a quality leather restoration, you have to ensure you are buying quality products and service. Once you have considered these three very important questions, you can start the process of leather furniture restoration! Below, we have listed some handy DIY hints and tips that can assist you in the restoration process of your leather furniture. Remember, if you need help at any time, be sure to contact your local leather restoration experts! Clean and trim the affected area before beginning the repair. Insert the backing piece into the teared area. Apply the leather repair mixture to the crack several times and allow to dry completely. This process also includes adding grain paper to the leather, applying a sealer, mixing and applying the leather dye and sealing the leather. With so many steps and aspects involved, it is no surprise that you need to be patient with the restoration process. This includes carefully mixing the dye and applying the grain paper so it matches the current state of your leather furniture. If you are not familiar with leather restoration, this may be a risky move. For a quality leather restoration, your best bet is to go with the leather restoration experts, like those at Lounge Repair Guys. Not only can we patch your furniture up in no time, we’ll ensure all colours and texture match, making your furniture look as though it had never been damaged in the first place. Leather furniture can be ruined by stains. Oil stains, water stains and urine stains can linger on your couches and chairs. However, it is possible to remove these using general household goods. Oil stains, such as those caused by food, can be removed with corn starch. By simply rubbing the corn starch over the affected areas, the oil gets lifted out and absorbed into the corn starch. Water stains can be removed by being carefully rubbed with warm water. Urine stains, such as those caused by pets, can be cleaned using a urine stain cleanser and a leather conditioner. If you do this, be sure to do a spot test on part of the stain. Otherwise, you might end up with faded furniture. If you need assistance removing stains in your leather furniture, be sure to contact Lounge Repair Guys. Our stain removal services will help to remove all stains. 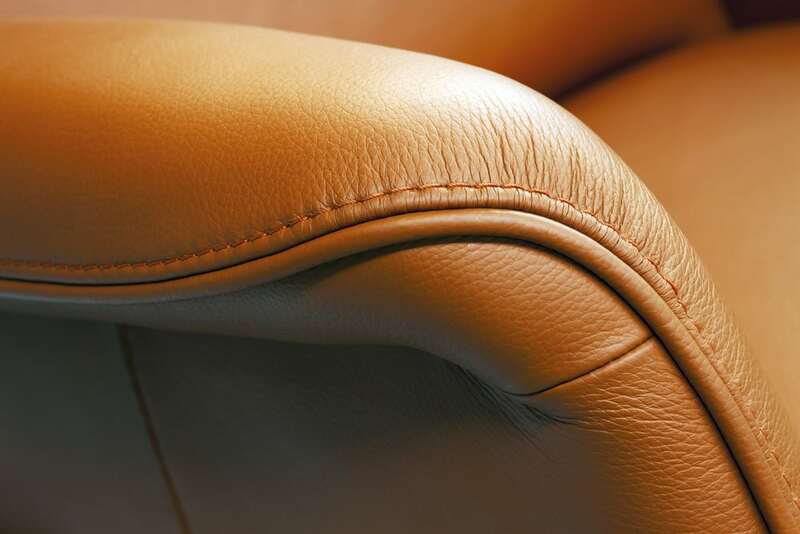 One of the most common problems leather furniture faces is fading. Direct sunlight can cause leather to lose its colour and fade, ruining furniture and reducing the lifespan of your upholstery. To restore faded leather, a special conditioner can be used to bring the colour back into your furniture. These conditioners are very specific in protecting your furniture and bringing colour back into it. Like patch repairs, it is vital to use the correct colour. As well as being Brisbane’s best leather repairers, we have access to a huge range of high quality premixed colours. This allows your furniture to keep its vibrant colour and continue to serve its purpose. If we don’t have the correct colour, we can spray it to match the rest of your furniture. Some furniture might seem unfixable. Whether it’s damaged panels or badly ripped leather, you might feel as though it is beyond any sort of DIY repair. Never fear, this is where the experts can step in. At Lounge Repair Guys, we can replace damaged panels and seats and make them look good as new again. When it comes to leather furniture restoration, there are many different ways you can go about it. You can have a go at it yourself using any of the hints or tips above. However, if you have a big repair job or are unsure how to go about leather furniture restoration, don’t panic! The leather restoration experts at Lounge Repair Guys are more than happy to assist you. With high quality workmanship and first class professionalism, you can be sure any leather restoration you get completed with us will last for years to come.